Opinion: Trump Has Acted Foolishly On Iran. Let's Hope He Avoids War Right now, the best we can hope for is that the administration manages to muddle through and avoid a dangerous and unnecessary war, write former senior State Department officials. In this photo released by the official website of the Iranian presidency, President Hassan Rouhani attends a meeting with a group of Foreign Ministry officials in Tehran on Sunday. Rouhani warned President Donald Trump against provoking his country while indicating peace between the two nations might still be possible. Aaron David Miller (@aarondmiller2), a vice president at the Woodrow Wilson International Center for Scholars and a former State Department adviser and Middle East negotiator, is the author of The End of Greatness: Why America Can't Have (and Doesn't Want) Another Great President. 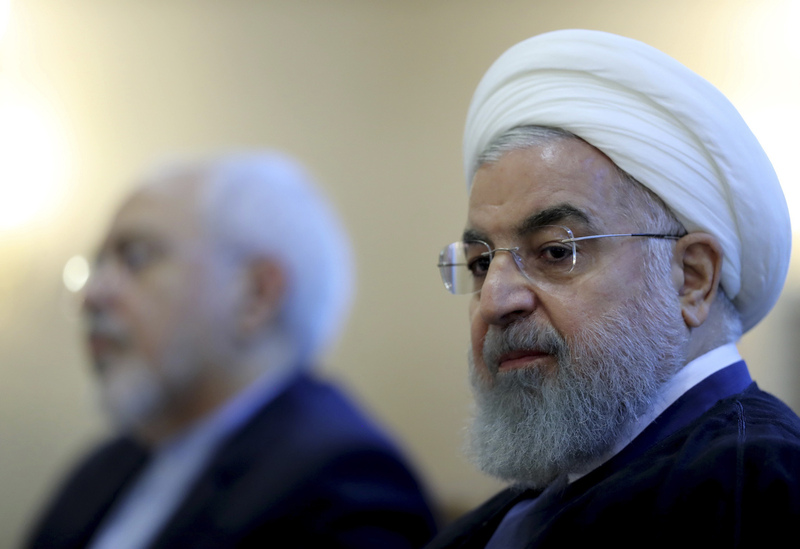 Iran simply has no reason to cave to U.S. pressure. Nor does Trump have political space at home to engage with Iran.